Great Family Townhouse in the gated community of "Westgate." Beautiful 3 bedroom/3 bath end unit with gorgeous cozy patio/yard - including a downstairs bedroom with attached full restroom, 2 master suite upstairs, and large Master bedroom with large closet and bathtub. 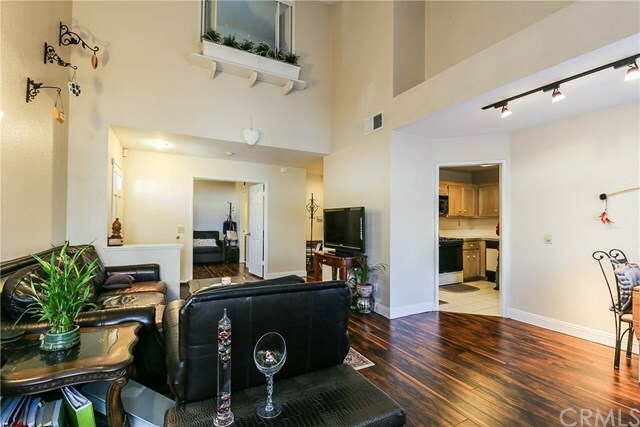 High ceiling living room with cozy fireplace and it opens to spacious patio/backyard area. Downstairs inside laundry room and attached 2-car garage lets you stay dry on rainy days after shopping. Complex includes sparkling pool and jacuzzi. Located in Chaffey Unified School District. Gorgeous new flooring and ready to move in condition. Must see and it will not last.